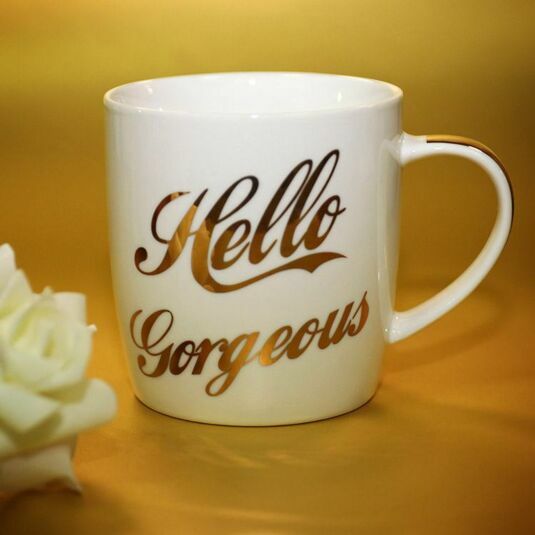 Everyone needs a mug for their morning cup of tea, afternoon coffee pick-me-up and evening hot chocolate so why not gift a mug that will do all three plus give a confident boost with this shimmering gold Hello Gorgeous Fine China Mug. Fitting the standard shape of mugs, this mug is a subtle cream in colour, embellished with a tasteful yet striking, reflective gold detailing on the front, reverse and handle of the mug. 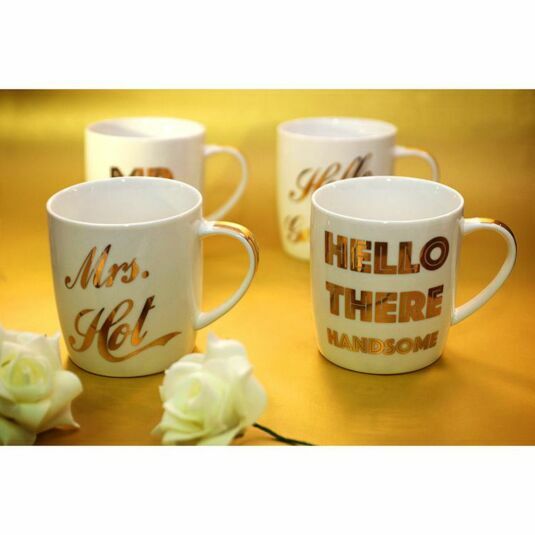 The words ‘Hello Gorgeous’ are featured in a strong, bold font in this reflective gold making for a strong statement when given to the recipient. This mug is suitably finished with a gold detailed presentation box surrounding, making it the perfect gift to give to the most gorgeous person in your life, be it your partner, siblings, parents or even your best friend. PLEASE NOTE: This mug is NOT suitable for dishwasher and microwave use.